A Pop Up Playground demonstrates that a playground is more than just a series of slides and platforms. What is a Pop Up Playground? 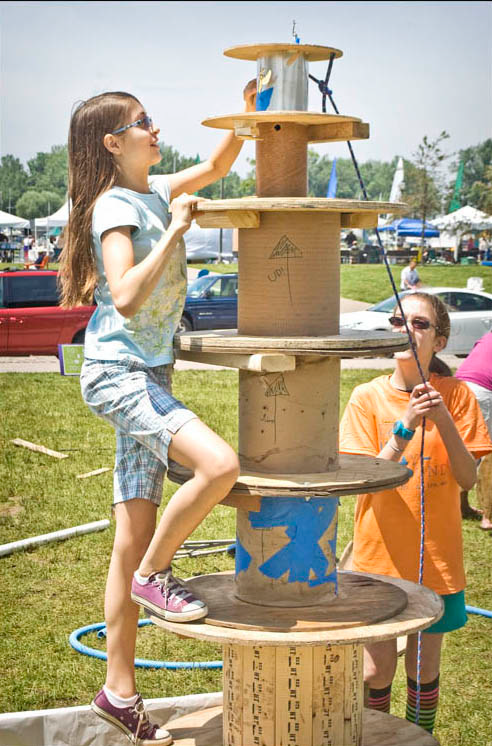 A Pop Up Playground is a 1 day event where community members come together to provide kids an opportunity for free play. and set free to construct their own playground. This type of free play inspires types of creativity and collaboration that children often don’t have access to due to time constraints imposed on their own and their parents’ schedules combined with limited access to safe places to play. A Pop Up Playground demonstrates that a playground is more than just a series of slides and platforms, but a space where communities and children can come together to inspire and learn from each other. NMASLA and ACE Leadership are collaborating to bring a Pop Up Playground to the Sawmill District in Fall of 2015 giving Design Professionals an opportunity to work with High School Students on a project that educates about the meaningfulness of maintaining open spaces, the benefits of community building and the value of play in the development of creativity while giving children in an underserved area of Albuquerque a different opportunity to play. Official Flyer (American Society of Landscape Architects & ACE Leadership HS) with more photos.